Looks awesome in my bathroom love it! 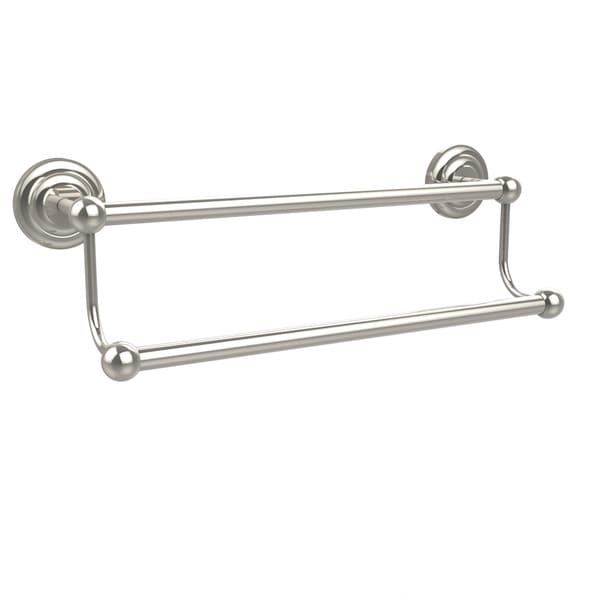 Add a stylish touch to your bathroom decor with this finely crafted allied brass prestige que new double towel bar. This elegant bathroom accessory is created from the finest solid brass materials. High quality lifetime designer finishes are hand polished to perfection. Looks just like the photo. Very easy to install and well made. Great solution for 2 towels spread out on each rod so that they dry before using again. Only down side was how long it took for it to arrive but it was worth the wait. Good value purchase. Overstock delivered the quality product here. Bottom bar broke off before I ever got it on the wall!